1977 was the year that saw BMW releases the 7 series which was aimed at cementing its position in the luxury full size car sector. Being based on the E23 platform, the 7 series was equipped with a system that signaled service intervals, optional ABS, climate control, leather upholstery and new mirrors. It also came fitted with M30 12 valve type six cylinder unit which had been launched earlier in the E series along with a 4 to 5 speed gearbox. The model saw a slight uplift in 1983 with a restyled grille, redesigned bumper and new spoiler along with a Motronic, newly developed 3.4 litre unit. The suspension was also altered and the model was made available in both the North American and the European market. The first generation of the 7 series was halted in 1986 when the new E32 platform was introduced. The new generation 7 series was launched in 1986 using the E32 platform. Initially the model came with a trio of engine configurations including the all new 750i and the 735i and the 730i providing a power range in between 188 hp to a massive 300 hp. In 1992, six years later the full size luxury models of the second generation received a couple of new power plants the V8 3.0 litre unit and the V8 4.0 litre unit. In the same year the model was made available for public offering a longer wheelbase configuration measuring about 5 inches more than the previous model. The increased inches were an attempt to increase the legroom and comfort of the rear passengers. 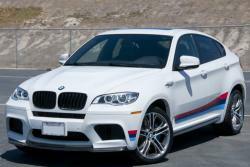 The models top range 759iL was the first ever BMW car have a speed limiter with a maximum of 155 mph however the car can top 186.4 mph otherwise. Other attractive features included electronic heating, dual climate control, entire leather upholstery and adjustable rear seats. The 7 series third generation was introduced in 1994 based on the E38 platform and was available in both the European and American market with a wheelbase of both longer and standard size. After completing a year in the American market the variant of V8 4.4 litre unit in the 7 series was replaced with a glass sunroof instead of an all steel one in the past. Also in 1997, BMW announced more safety features to be standard in the model including head protection system and side impact front airbags. Rear airbags were also given as an optional in the 1998 model. 1998 also saw a minor alteration in the model while preparing the market to welcome the 4th generation of the 7 series due to be released in 2001. The L7 BMW was an exclusive 7 series limousine model and was launched by BMW in 1997. With a longer wheelbase of by 25 mm the comfort level at the back has increased. 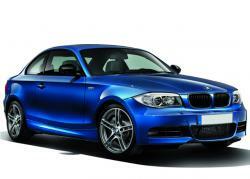 It came fitted with a V12 5.4 litre unit capable of delivering 326 hp along with an adaptive 5 speed transmission. The included luxury features boasted are leather upholstery, electric sunroof, electrically adjustable back seats, rear footrests, electric side and rear blinds, fold down trays at the back, back television screen, rear illuminated back mirrors, video player and a high tech mobile command center with a computer and integrated fax connected to the internet. 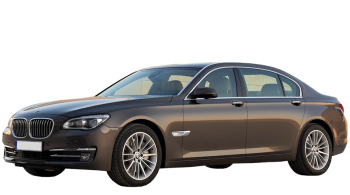 The 7 series L7 was also fitted with several passive and active components of safety including side intrusion system of protection and side head airbags. The model was discontinued in 2001 when the previous platform of E38 was replaced and taken over by the E65/66 platform. The 7 series fourth generation was launched in 2001 based on the E65 platform with a longer wheelbase of about 5 inches. In standard features the novelty lied with the novel iDrive system which electronically controlled the climate, navigation, suspension, audio or communication settings. In its four years before any upgrading, the model was made available in 12 versions depending on the engine and wheelbase options. In the North American market the diesel units were not launched due to standards of emissions. The fourth 7 series generation underwent its first facelift in 2005 with minor style changes on the rear and front areas. The grille and rear bumper were heightened slightly whereas the tail and headlights were altered. A unit was also received by the new generation replacing the V8 4.4 litre by the 4.8 litre unit capable of delivering 367 hp. A year later further changes were made in the wheel and mirror design and a new improved iDrive system was a standard feature of the models. In 2007 the 7 series variant of 760i was removed and discontinued from the North American market. A new 7 series generation was launched in 2008 with still longer wheelbase and shorter front overhang to give an enhanced dynamic look to the car. The grille and headlights were redeveloped along with the front panels. The model was made available with both long and standard wheelbase marked as an "L" in the designation of the car and offered a choice of three powerplants, the V8 4.4 litre the inline-6 3.0 litre and the turbocharged inline-6 3.0 litre unit. The F01/F02 models were fitted with enhanced and altered second generation iDrive with an inventive night vision system. The 7 series was available in 5 configurations based on the choice of wheelbase and engine and was planned to be introduced in the North American market in 2009. The BMW 7 series is all set to reinforce as one of the most inventive sedan in the sector of luxury cars. The BMW flagship series model of the fleet symbolizes refinement in powertrain, elegance, and luxurious comfort in equal proportions. 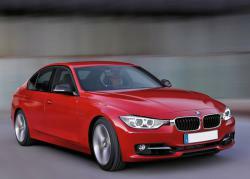 Taking a clear step ahead in product substance term, the Sedan is focused on underlining its leadership. An advanced interior, new LED headlight, optimized soundproofing, enhanced ride comfort, state of the art safety technology and a wide choice of optional equipment all gather together to present a car experience straight from the top drawer. The lineup of new or revised drive systems with the inclusion of the world's extremely powerful in line 6 cylinder diesel engine and the second generation Active Hybrid BMW 7 is setting records of efficiency and performance benchmarks.